Snozone Disability Snowsports at Milton Keynes and Castleford is for anyone who has a sensory, cognitive or physical impairment. Snozone’s aim is to make Snowsports accessible and inclusive for everyone! Our highly experienced and qualified coaches provide bespoke adaptive (disabled) tuition, guiding and coaching for all types of skiers and snowboarders, from beginners to national team athletes. We have a range of equipment including sit skis which can be skied with assistance or independently. We also have stand up riggers which are used to aid amputees or guests with poor body coordination and mobility. 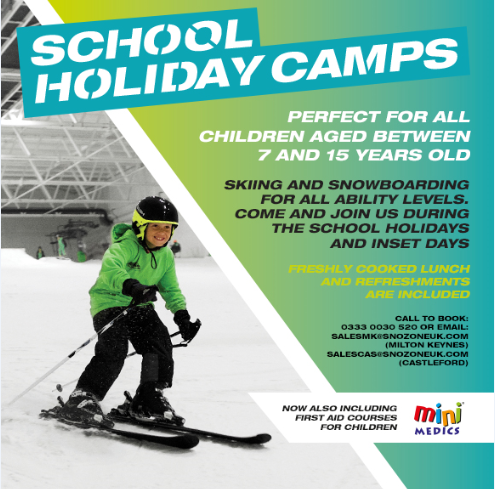 For guests who have additional needs we have dedicated coaches who can use different teaching styles and additional equipment to assist in achieving a memorable snowsports experience!